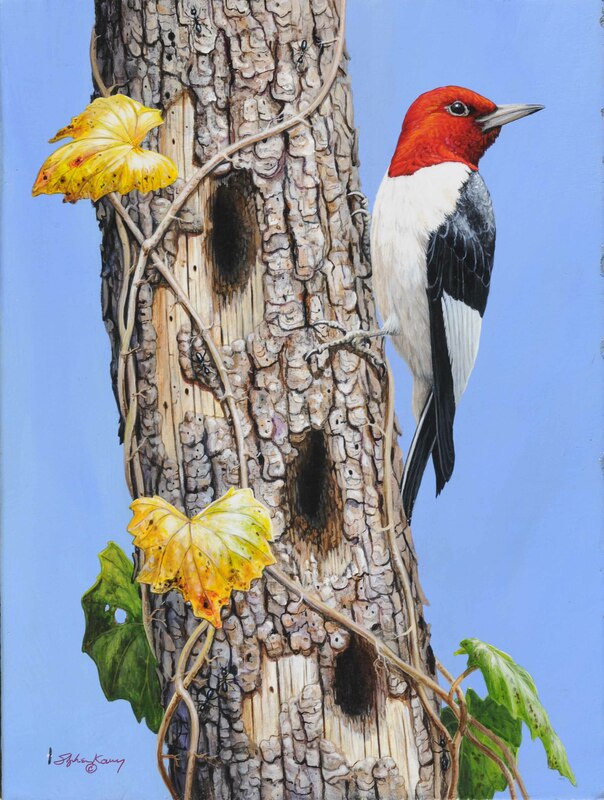 Here are three newer originals, the Red Headed woodpecker is the result of a trip to Lake Kissimmee State Park where I watched one work high in a dry old snag of a tree. 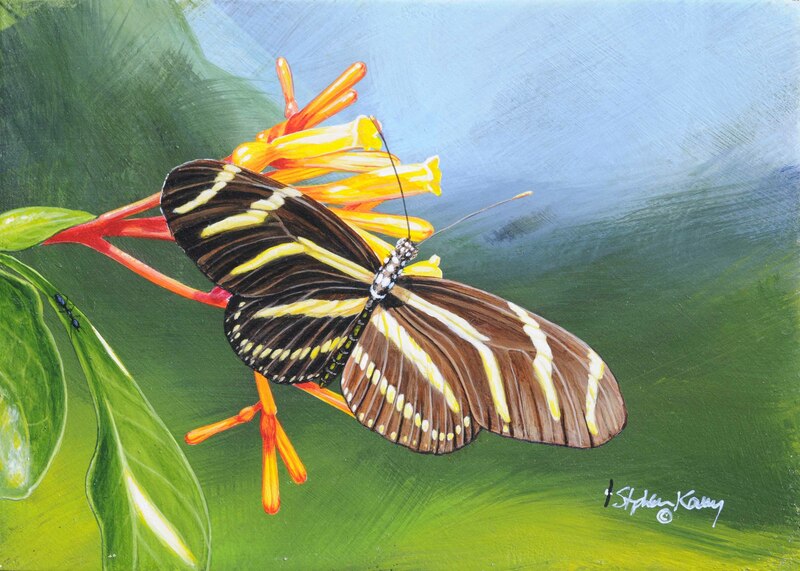 The Hummingbird and Zebra Longwing Butterfly were right here in my backyard!!!! We planted with these critters in mind way back and now they have come. 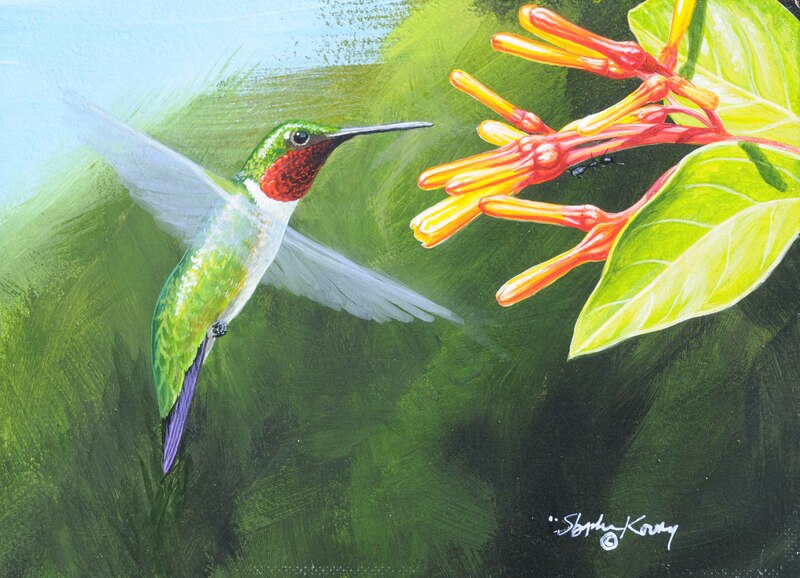 We have consistent Hummingbird action and the Butterflies are thick, sometimes to many to count. The feeling of sitting among them is while that flitter around you in amazing numbers is pretty tough to describe! So here you go, unfortunately all of these originals have found owners, there will be more to come!